Kodak has entered into an agreement to sell their online photo sharing service to Shutterfly for $23.8 million. The deal includes the transfer of more than 75 million Kodak Gallery customer accounts and accompanying images in the US and Canada which Kodak plans to oversee to ensure a smooth transition. According to Digital Trends, Kodak Gallery is similar to Shutterfly in that it manages online photo galleries and allows customers to print photo books and stationary. When the sale is complete, Kodak customers that do not wish to have their photos and personal data handed over to Shutterfly can opt to download all of their saved content or have Kodak make the data available for purchase via DVD. The deal hasn’t been sealed yet as Shutterfly entered into a stalking horse bid with Kodak for the online gallery. Under a stalking horse agreement, a debtor (in this case, Kodak) is essentially testing the market in advance of an auction to maximize the value of an asset. As such, other companies could submit competing bids for Kodak Gallery before the company seeks Bankruptcy Court approval of sale and auction by late March. The 133-year-old photography company filed for Chapter 11 bankruptcy protection in January 2012. At the time of filing, Kodak reported $5.1 billion in assets and $6.75 billion in debts. As part of the restructuring process afforded by Chapter 11, Kodak will be able to continue daily operations thanks to a $950 million credit facility from Citigroup. 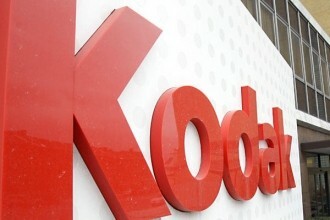 Kodak plans to sell multiple assets in an attempt to produce a reorganization plan by February 15, 2013 as per the terms of the bankruptcy.